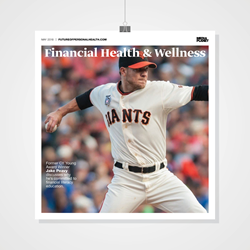 The Mediaplanet “Financial Health and Wellness” campaign, found within the SF Chronicle and online, helps shed light on practices can improve your financial well-being. Mediaplanet and Jake Peavy are teaming up to educate readers about the tools and opportunities for improving your family and personal financial wellness. At any age, Americans can take control of their finances in this year’s edition of “Financial Health & Wellness.” Readers will be inspired to take control of their financial lives with the help of modern tools and ethical financial advisors. With the large financial literacy gap and the lack of proper retirement planning in the US, it becomes difficult for Americans to feel financially stable. Whether the challenge is debt management, retirement planning or wealth management, there are proper steps to take and personal tools available to aid in any financial hurdle. This year’s edition of “Financial Health & Wellness” will be distributed digitally on Mediaplanet’s future of business and technology content hub. The digital component is distributed nationally through a vast social media strategy and across a network of top news sites and partner outlets. In an exclusive interview, Jake Peavy shares his commitment to providing financial literacy training to kids. In our conversation, Jake sheds light on the financial literacy gap. This campaign was made possible with the support of OneMain Financial, Jackson National Life Insurance, BrightPlan, Billshark, the National Endowment for Financial Education, the Association for Financial Counseling and Planning Education, the FinTech Professionals Association and the Association of Financial Professionals.